This easy-to-make, one-pot pumpkin butter is wonderfully smooth and thick, making it the perfect fall spread for toast, scones, muffins and more. It’s flavored with a variety of warm spices and sweetened with maple syrup, fresh apple cider, and just a touch of raw sugar. Incredibly flavorful and perfectly sweetened, this is one fall recipe you won’t want to miss! First off, cheers to kicking off ZK’s pumpkin month! Each week in October I’ll be sharing a delicious and creative pumpkin recipe to celebrate the start of fall. Not only that, each week I’ll be making and giving away the cooked recipe to someone in the Des Moines / Central Iowa area. 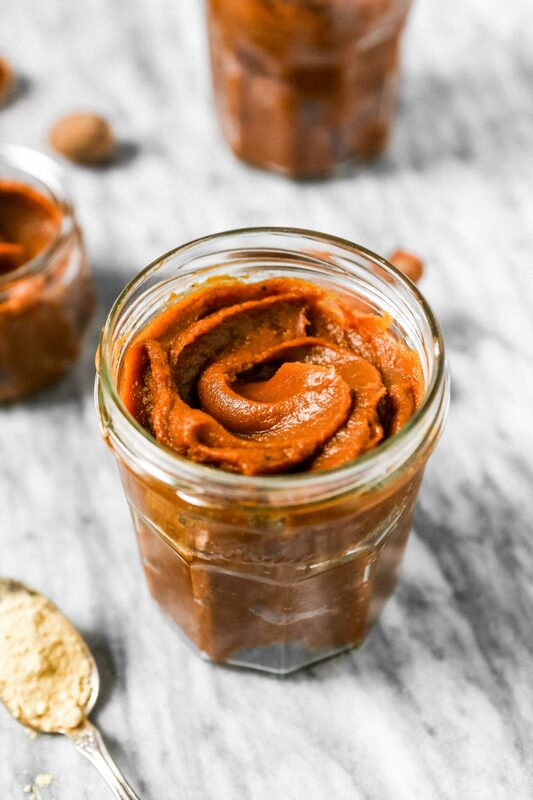 To get pumpkin month started, I developed this delicious Spiced Maple Pumpkin Butter. And I’m telling you, it couldn’t be easier. Just one pot, canned pumpkin, spices, maple syrup, apple cider, raw sugar, and just 30 minutes on the stove top results in the most delicious fall spread. 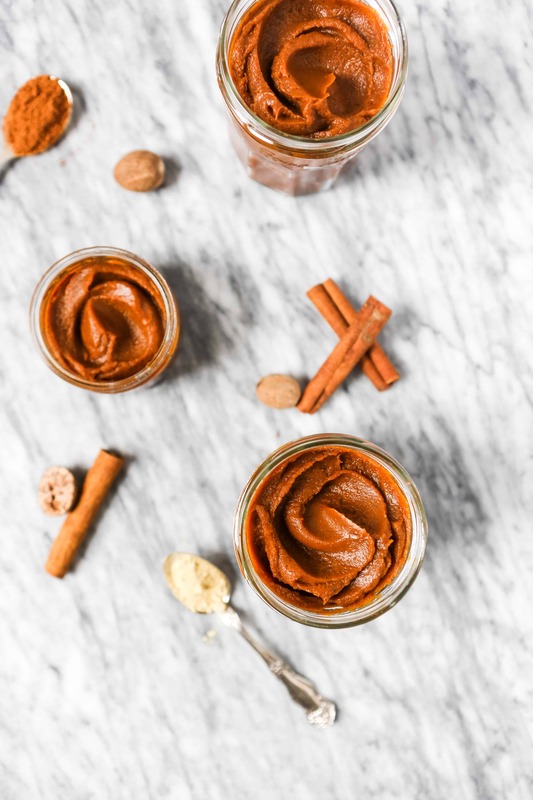 Pumpkin butter is essentially a concentrated pumpkin purée that’s sweetened and flavored with warm spices. 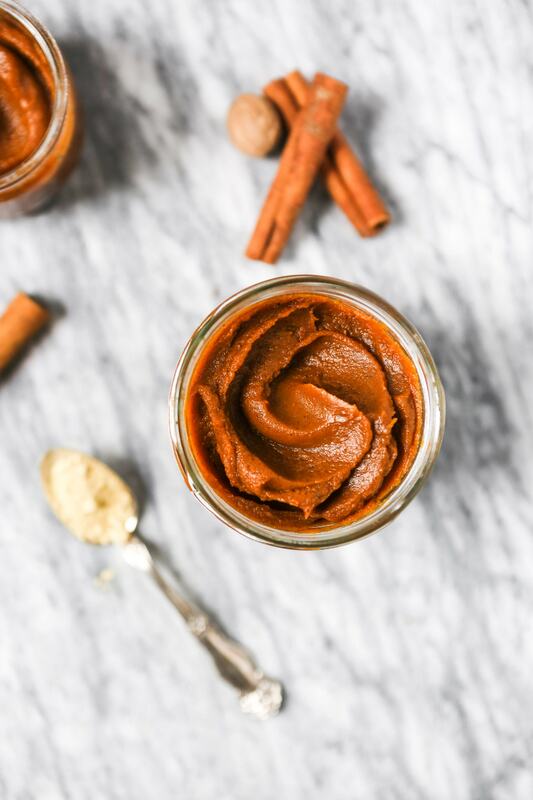 Cooked down to release excess moisture, pumpkin purée turns into a sweet thick mixture that’s spreadable and used as a condiment. 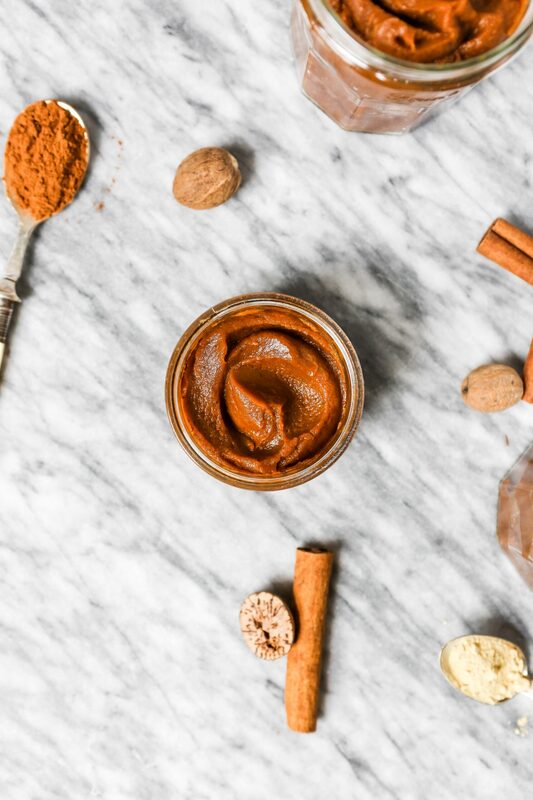 How to use / serve pumpkin butter? How do you store pumpkin butter? And can you freeze pumpkin butter? Pumpkin butter should be stored in airtight containers, preferably glass to ensure no residual flavors affect the butter (which can happen if using plastic). Store containers of butter in either the refrigerator or the freezer. This recipe makes 2½ cups, and because of that, I like to store half in the refrigerator and half in the freezer. 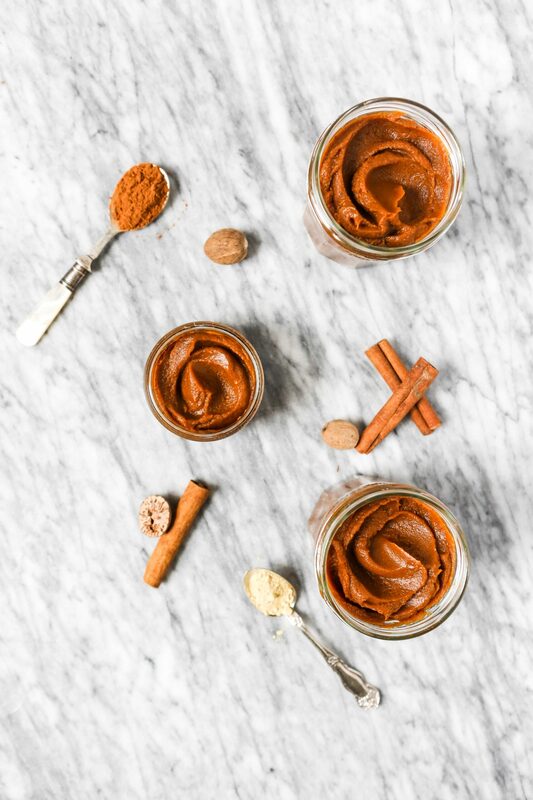 So, yes you can freeze pumpkin butter! 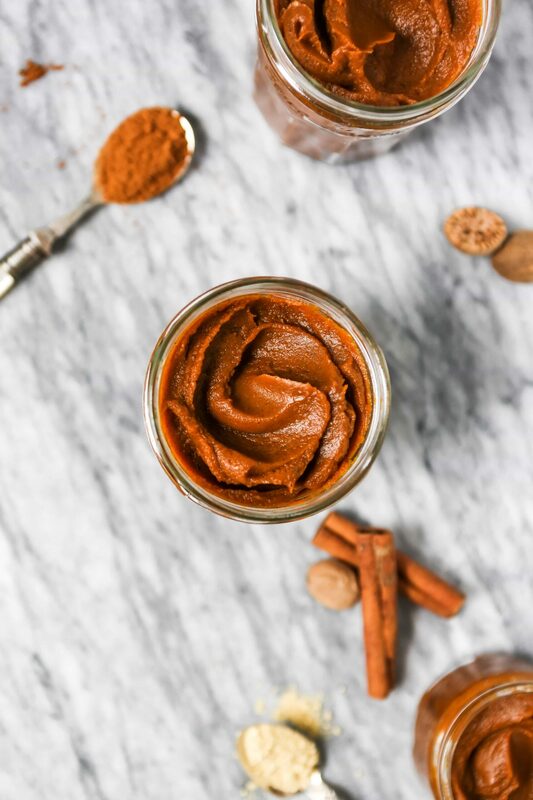 When ready to use frozen pumpkin butter you can either thaw overnight in the refrigerator, or set it out on the counter for a few hours. Just be sure to store it in the refrigerator once thawed. How long does pumpkin butter last? It should last up to 1 month in the refrigerator or up to 4 months in the freezer. p.s. get excited for next week—I’ll be putting this delicious butter to use in a flaky, hand-held pastry! This easy to make, one-pot Spiced Maple Pumpkin Butter recipe is packed with flavor from maple syrup, apple cider, cinnamon, ginger, nutmeg, cloves, and cardamom. Combine pumpkin, cider, maple syrup, sugar, 1 tablespoon lemon juice, cinnamon, ginger, nutmeg, cardamom, and cloves in a saucepan over medium-high heat. Bring pumpkin mixture to a simmer, and cook, stirring frequently, until thickened, 30–35 minutes. Off heat, stir in remaining tablespoon lemon juice, vanilla, and salt. Let pumpkin butter cool, then transfer to an airtight container and refrigerate for up to 1 month for freeze for up to 4 months. Pumpkin butter can be made and refrigerated up to 1 month before using, or frozen for up to 4 months before using. 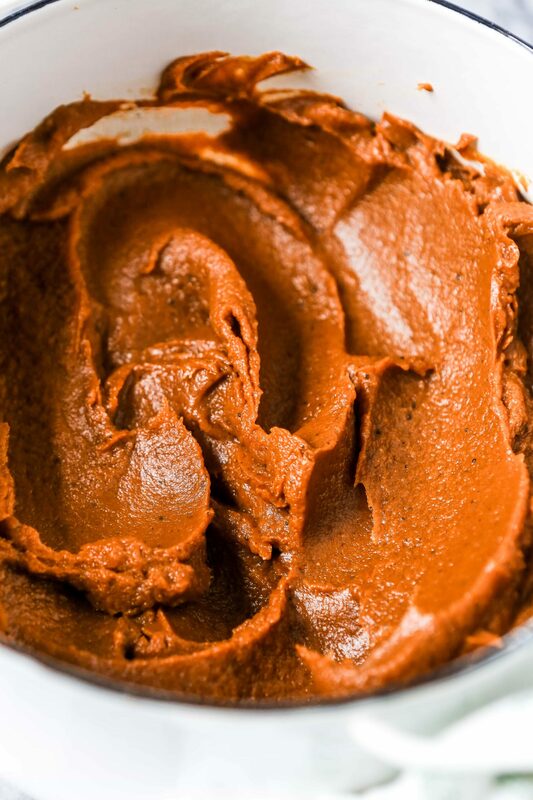 This pumpkin butter is very dynamic. I love the slight spiciness from all the baking spices. Super tasty stirred into oatmeal! Thanks Libby! So glad you like it, and adding to oatmeal—such a great idea! I’m going to have to try that this week. Great recipe. Made this to go with pumpkin muffins and pumpkin chili. Very easy and not too sweet. Hi Annette, I’m so glad you enjoyed it! Such a great idea to use it on muffins and with chili. Thanks for stopping by Zestful Kitchen!